The media will be able to access footage of court proceedings from cameras currently being installed in all court rooms in Suva. Chief Justice Anthony Gates told FBC News these cameras will be useful and will promote transparency. We only sit in open court, we don’t sit in chamber anymore unless there are special reasons like interest in national security, copyright, children or venerable witnesses perhaps there maybe a need to sit in camera but for the most part it’s an open court therefore the video recording will make it more transparent. If the press need to have access to that we would have to look at it rather carefully. Justice Gates adds having cameras present in courtrooms is nothing new and requests for footage can be granted for specific cases. But if it helps; we have had proceedings – the constitutional cases as you remember the hearing, the proceedings and delivery of judgement, all were done with full TV coverage. Unless there is special reason to not allow it then it that will be how it’s going to do- so it’s a case by case basis. 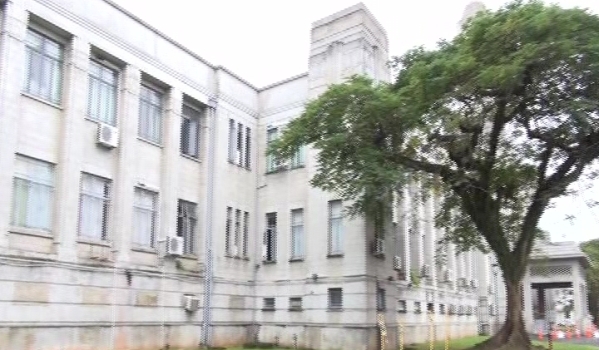 As part of renovations at government building in Suva, cameras will be installed in all courtrooms from the Magistrate Court right up to the Supreme Court.